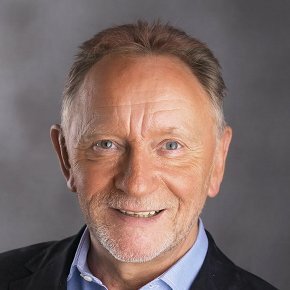 Up in that Pantheon inhabited by the biggest selling recording artistes of all time in Ireland, rubbing shoulders with Bono and the Boys, you might be surprised to bump into Phil Coulter. You shouldn’t be! It’s now twenty years since the distinctive sound of Tranquility, featuring Phil’s piano and orchestra, first seduced the whole of Ireland with its easy melodic charm, before going on to make believers around the world. With record sales now counted in millions, as well as a Grammy nomination, several appearances in the White House and sold out international tours, it’s been quite a ride. Not that Phil Coulter had been a stranger to success in the music biz prior to that. In the twenty years before Tranquility he had achieved world-wide recognition as a hit songwriter, with then partner Bill Martin, notching up chart entries with a diverse list of acts from Cliff Richard to Sandie Shaw, Elvis Presley to Waylon Jennings, from Bobby Vinton to The Bay City Rollers. As a producer his credits are formidable and include icons like Van Morrison, Sinead O’Connor and Elvis Costello, classical greats like James Galway and one-of-a-kind’s like Richard Harris. On a separate more low profile track from all his commercial success, Phil kept faith with his passion for Irish Music. He credits Summers spent in the Donegal Gaeltacht with starting that love affair and reckons that when, as a Music student in Queen’s University Belfast, he first heard Sean O’Riada’s “Mise Eire”. It was a defining musical moment. He has worked with legends of Irish music like Planxty, The Dubliners, Liam Clancy and The Furey Brothers and has written some of the great Irish songs of his generation – ‘Scorn Not His Simplicity’, ‘Steal Away’, ‘Ireland’s Call’ and the classic ‘The Town I Loved So Well’. Indeed his unique contribution to Irish music had been recognised by the awarding of three Honorary Doctorates and an hour long BBC T.V. Tribute. In 2010 he was honoured for his Lifetime Achievement in the Music Industryby his peers in the British Acadamy Of Songwriters, Composers and Authors.